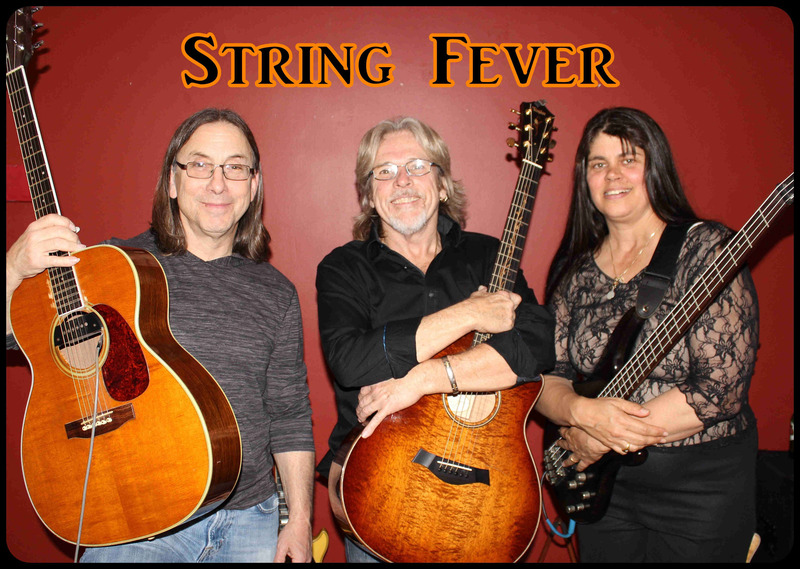 String Fever is a local acoustic trio playing rock, folk, blues, country and pop music from the 70’s to the present. Their blend of instrumentation and harmonies are what makes them unique. Meet the band: Rick Barrett, guitar and lead vocals. Andy Stein, lead guitar, vocals. Stephanie Krowka, bass guitar, vocals.